Country music star Reba McEntire and boyfriend Anthony “Skeeter” Lasuzzo are enjoying seeing the world together! See their pics here! Back in January, country music maven Reba McEntire introduced the public to her geologist-photographer boyfriend, Anthony “Skeeter” Lasuzzo, at the 2018 Grammy Awards. The Oklahoman and longtime husband Narvel Blackstock finalized their divorce in October 2015. As their relationship has blossomed over the last few months, it’s easy to see that they are still enjoying spending time together and travelling as much as they can! “Whether we’re in the mountains of Wyoming or in Italy, flying or riding the train, Skeeter and I have a great time! #toomuchfun #globetrotters #skeeterlasuzzo” McEntire shared via Instagram along with photos of the pair around the globe. 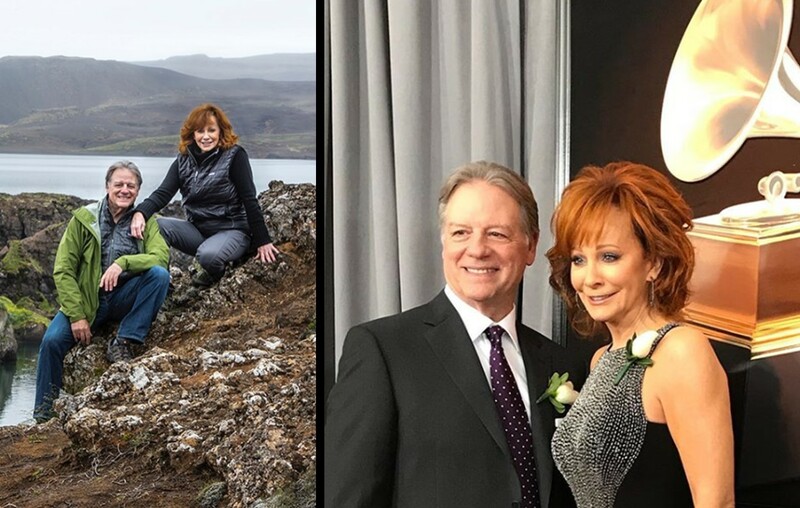 Goodness, they are really cute together and Reba seems to be genuinely happy! Check out more photos of the couple below. Be sure to share this update with other Reba McEntire fans and try to catch her performing live!